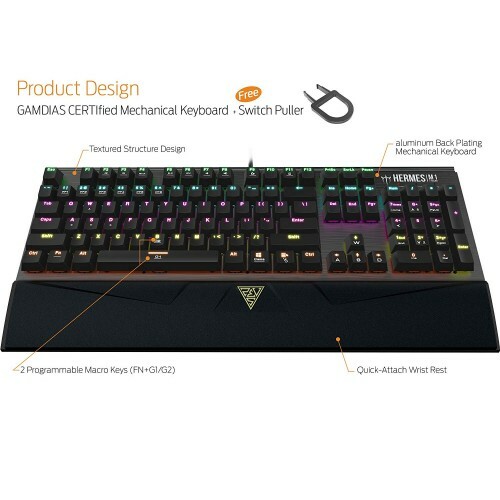 Gamdias HERMES M1 7 color Mechanical Gaming Keyboard has brilliant backlight illumination with Neon light spectrum for up to 7 colors which is GAMDIAS Certified Mechanical Switches.The customizable backlighting lets you choose your color to match your system or your style.In this keyboard the flawless aircraft-grade black anodized brushed aluminum faceplate is built to superior rigidty sturdy and lightweight.Here used HERA Software. 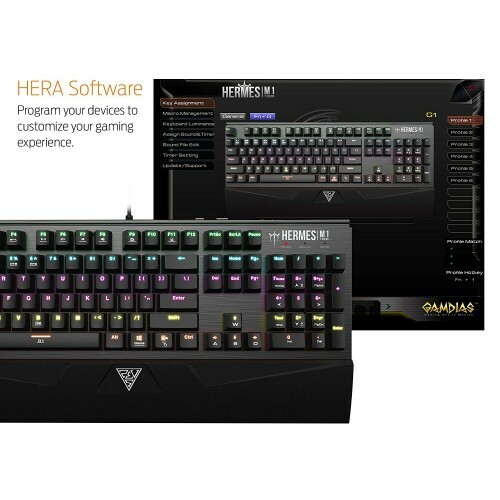 Specially designed for HERMES M1. 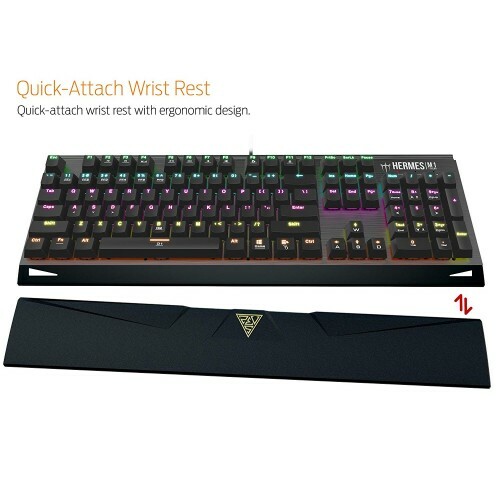 Quick-attach wrist rest provides the comfort you need for prolonged gaming sessions. 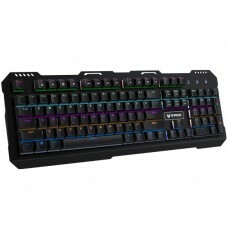 21 Key rollover and 2 dedicated marco keys with 6 profiles upto 12 settings are essential to victory. 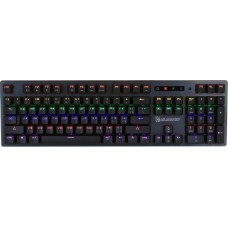 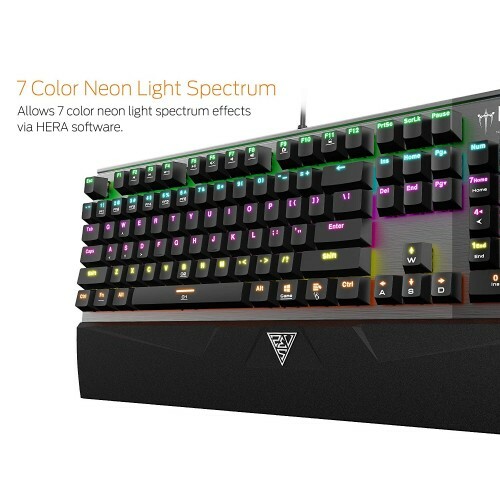 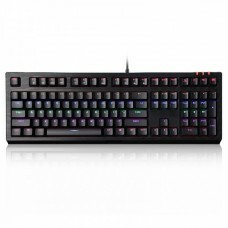 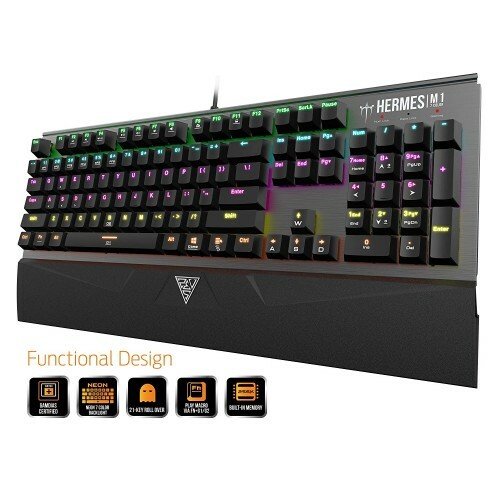 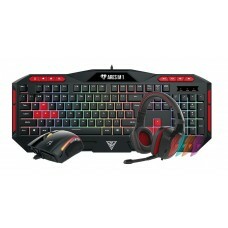 HERMES M1 gives brilliant backlight illumination with Neon light spectrum for up to 7 colors, programmable G-keys with onboard storage, multimedia controls, and anti-ghosting with 21-key rollover on USB for fast, accurate gameplay.